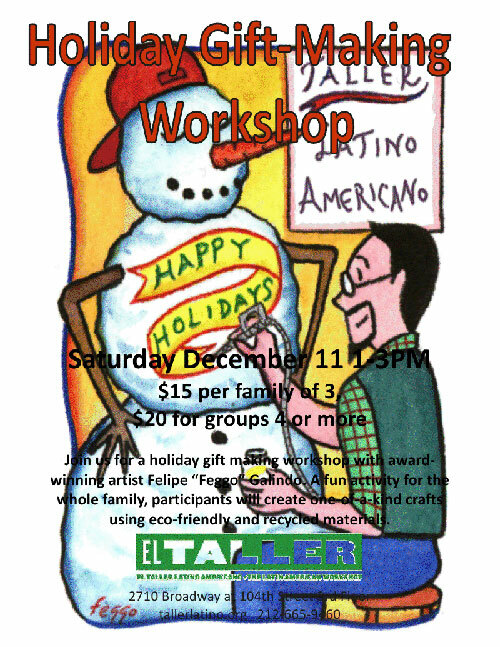 El Taller is also offering a Spanish Cultural Program this winter semester. For more information on El Taller, visit their website. To sign up for the Spanish Cultural Program, click here if you are already a LACASA student. Click here if you are not already a LACASA student. This entry was posted in Afterschool, PS 84 LACASA and tagged El Taller, LACASA is a project of Strycker's Bay Incorporated. (212) 874-7272 tel. (917)-591-4995 fax. info@stryckersbay.org (email), Spanish. Bookmark the permalink.